Jo Brennan believes the greatest asset a company can have is it’s people, but getting the most out of its people can sometimes pose the greatest challenge for managers. 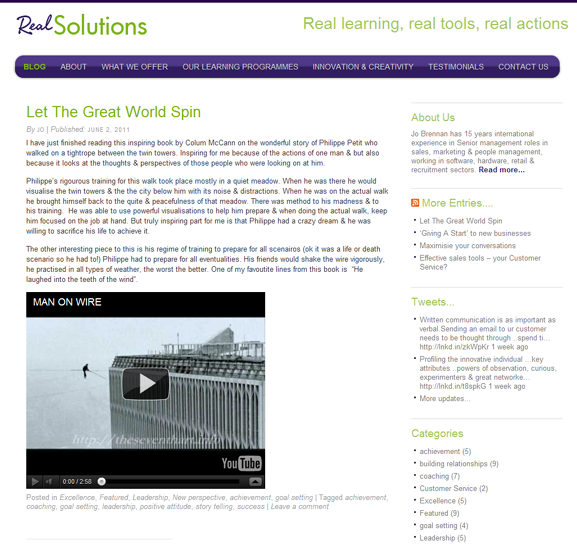 That’s where real solutions are here to help, offering real learning, real tools and real actions. They can be your learning partner offering you the skills and abilities that will help you as an organisation to pull through these tough times. Check our thier new site and see the wealth of training solutions they can offer you. Have a look at the testimonials on the site too, we’re sure you’ll be impressed.